Photographs, heirlooms, and stories are some of the tangible memories that we keep to remind us of our personal and family history. The resources in this guide allow others to share their memories and will help you to share and preserve yours. Browse these resources to help you with scrapbooking projects, writing your family story, and taking the perfect shot. Whether you're new to digital photography or a seasoned shooter, these titles offer advice and clear how-to information on every aspect of digital photography, from shooting to post-production to printing. Find ideas and guides for starting your own scrapbook project. 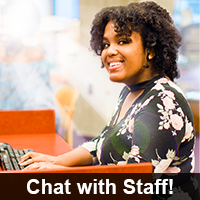 Also learn about using your computer for digital scrapbooks. It may seem overwhelming when you begin to write your family history. Let the books on this list help guide you and get you off to a good start. 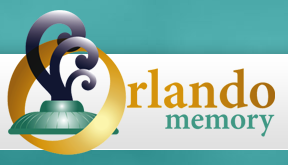 Orlando Memory is a community based digital archive designed to capture and preserve the stories, images and memories of our Orlando community. Orlando Memory is the story of Orlando, FL told by its people. Share your story on our community web site. Discuss your latest Orlando adventure, upload photos or video clips, add audio recordings or other memorabilia. For additional technology classes, visit our Classes and Programs page. Search United States Census records from 1790 to 1930, find local and family histories, and search PERSI (an index of genealogy periodicals). HeritageQuest Online is accessible from your home computer. For access to more resources, visit the Library to search our other genealogy database Ancestry Library Edition. David Isay, founder of StoryCorps, visits the Orlando Public Library and talks about his oral history project and his book, Listening is an Act of Love.